﻿Dr. 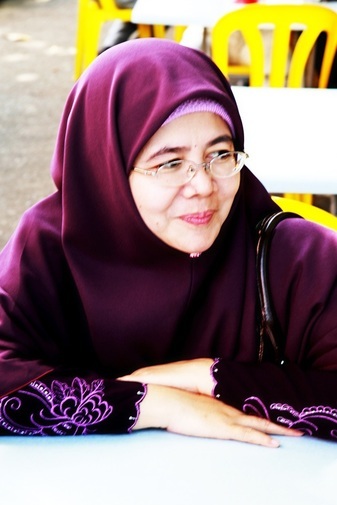 Filzah Md Isa is currently an Associate Professor at Taylors University, the most prestigious private university in Malaysia. She joined the University on the 1st of February 2016 after servicing Universiti Utara Malaysia (UUM) for more than 21 years. Prior to, that she was a sales manager for more than five years in several business organizations. She obtained her BSc in Business Administration degree from University Southwestern Louisiana, USA (1987), followed by Master of Business Administration (MBA) degree from Northrop University, Los Angeles, USA (1989). She completed her Doctor of Business Administration (DBA) from Universiti Sains Malaysia, August 2007. Her areas of expertise are in the field of Entrepreneurship, Marketing and Organisational Behavior, both practically and theoretically. Her leadership skill and managerial skill were further boosted when she was appointed as the Deputy Director of Center for Innovation in Education from 1997 to 1998, which is now known as the Professional and Continuing Education Center (PACE). As the Deputy Director, she was given the full responsibility to spearhead the first distance learning program for the University which at the present time becomes one of the key income contributors to the University. Later, from 2007 to 2009, she was appointed as the Deputy Director of the Entrepreneurship Development Institute (now known as the Center of Entrepreneurship Development Institute, CEDI) which focused on the entrepreneurial activities and programs in and outside UUM that involved students, public and private organizations and also entrepreneurs. At the Institute, she developed numerous innovative entrepreneurship modules and activities that helped to generate income to the University as well as providing services to the target customer groups, i.e. students, entrepreneurs, single mothers, and government agencies. Presently, CEDI has been widely acknowledged both in the local and international arena. At Taylors University, her leadership and managerial skills are further sharpening since she is given several different tasks to handle. Among those are; she is an acting Project Advisor for the online Master Degree in Hospitality Management Program, which is planned to be offered in 2019. She also deputizes the Ageing Research Flagship program, which helps to oversee, monitoring, and mentoring 10 different ageing research projects that are currently running at Taylor’s University, and she is preparing to set up a center for ageing research activities. Apart from that, she is also one of the AACSB coordinators the University who are responsible for the accreditation process for the University. As an educator, she has vast experiences in the teaching and mentoring both undergraduate and postgraduate students (Master, DBA, and Ph.D.), and executives from various fields and industries. In congruence with her teaching duties, she also actively involves in research, consultation and training activities. As a true scholar, she has published numerous papers in local and internationally Scopus and several refereed journals. In addition, she is also an active reviewer of research papers, case studies, books, and an examiner for PhD theses and DBA dissertations. In order to expand her contributions to the society, she involves in several professional bodies and becomes a member of the Malaysian Healthy Ageing Society (MHAS), Malaysian Institute of Management (MIM), and Persatuan Pengguna Islam Malaysia (Malaysian Islamic Consumers Association). For better academic network and knowledge transfer purposes, she participated in many research projects in and with other Universities, government ministries and its agencies such as; the Ministry of Rural Development (KKLW), National Higher Education Research Institute (IPPTN), Malaysian Economic Digital Corporation (MDeC), Ministry of Youth and Sports, Ministry of Higher Education (MOHE), Penang Regional Development Authority (PERDA), Federal Agricultural marketing Authority (FAMA), and for various entrepreneurship agencies such as Malaysian Entrepreneurship Institute (INSKEN), PUNB, SME Corp, MARA, etc. Apart from her commitment as an academician, she is also an active business mentor, coach, and facilitator for many government agencies and institutions such as PERDA, FAMA, AIM, KKLW, MADA, Agricultural department of Penang, Malaysian Productivity Corporation (MPC), Penang Development Corporation (PDC), Community Colleges, Matriculation Colleges, INSKEN, and others, especially those that deal with SMEs, women entrepreneurs and single mothers, and handle entrepreneurship programs. Her contributions to UUM have been duly acknowledged with the receipt of Excellent Service Award (Anugerah Perkhidmatan Cemerlang) in 2011. One of her group’s projects called the Management Internal Control System ‘Pronet’ had won a Silver Medal from the National Invention, Innovation & Design Competition in 2009. To mark her persistent efforts in developing young entrepreneurship talents among graduates, she was chosen as the 1st Runner-up for the Best Entrepreneurship Mentor/Coach for Academia of Malaysia by the Ministry of Higher Education (MOHE) in December 2015. Most importantly, her true commitment and passion to academia and entrepreneurship development will never ends.